The Zeeland Chamber of Commerce printed and distributed the "Zeelander" on a monthly basis in an effort to keep Chamber of Commerce Members well informed. The publication provided news and special bulletins related to retail and industrial businesses. Our collection includes issues printed October 1976 through December 1992. See Business Histories for more information. NOTE: Our collection does not include Chamber of Commerce activities, banks or businesses outside the Zeeland area. 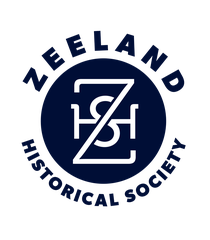 The "Zeelander" articles listed below are located in the Zeeland Museum's research room. 21 4 Frank’s Restaurant Member Of The Month Jan.